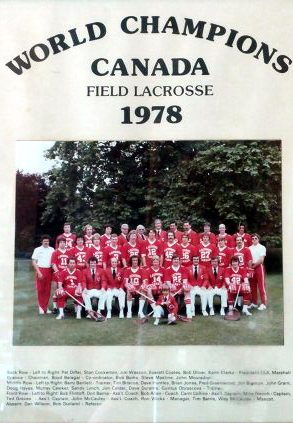 In July of 1978, Canada pulled off a miraculous upset by defeating the United States to win the World Field Lacrosse Championship in Stockport, England. Following are a few of my recollections of that experience. 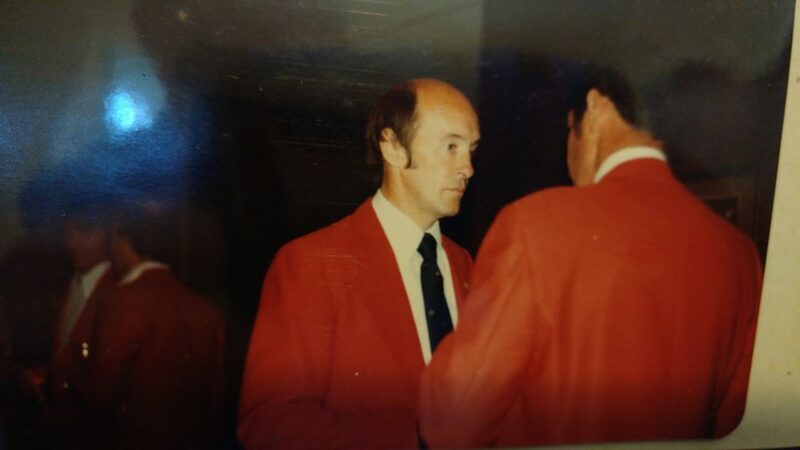 My first memory of the 78 Team is of Marshall Spence and Doug Budden, of the OLA, coming to our home in Peterborough in November of 1977, to see if I would agree to assume the role of Head Coach of Team Canada. 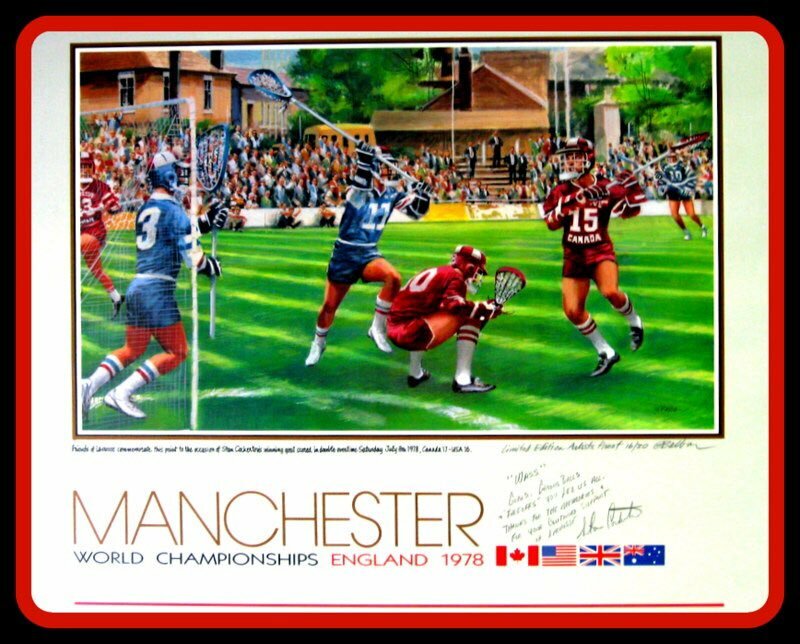 Lacrosse Canada had decided that due to a lack of funding, we would not be sending a team to England. That’s where Marshall, Doug and Boyd Baragar stepped in and the project took on new and energetic life. 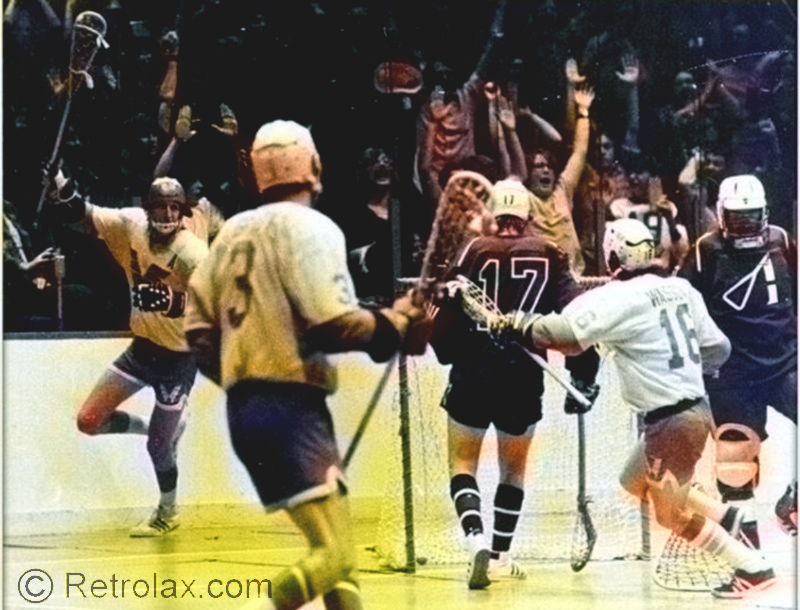 When the original NLL folded in February, 1976 and my position as coach of the Philadelphia Wings had ended, I really believed that my involvement in lacrosse was finished. Now, even though my knowledge of the field game was very limited, the thought of returning, especially at this level, was impossible to refuse. I also knew that preparation time would be short, but little did I realize just how difficult it would be to put the roster together, as well as teach the novices the game. I include myself and the other coaches Gus McCauley and Don Barrie in that latter group. I read a magazine article following the championships where Coach Moran of the USA blamed his team’s loss primarily on their limited amount of practice time, compared to that of their competitors. 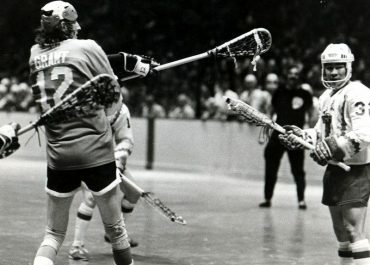 In July of 1977, 80 USA players attended camps held over two successive weekends and were evaluated by 14 coaches who narrowed the team to “twenty-three of the nation’s best lacrosse players.” It also reported that at those camps, the players worked on team offense, team defence, riding, clearing and special teams. 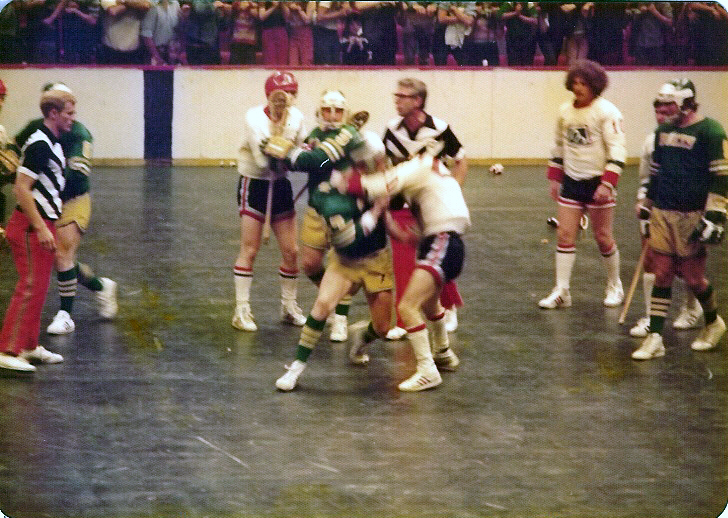 Compare that to our second, indoor practice on April 22, 1978, attended by approximately 15 players and featuring Bob Durland, a referee from Syracuse who was attempting to teach us the rules of the game. Not a very level playing field. We officially began our outdoor workouts the first weekend in May at York University in Toronto and once again 15 potential players participated. A handful of high school students who played some box lacrosse were brought along so we would have enough to scrimmage. 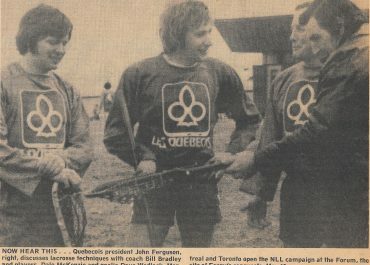 We really didn’t have much co-operation from the box lacrosse coaches and the feeling was out there that we were traitors because Canada was a box lacrosse nation and we had no right to be spending money going to England to play this other game. We had sent out 55 invitations to attend our camps and this included 8 players who were currently at USA schools or who had some NCAA experience. Since it was primarily an Eastern (OLA) team only 4 players would travel from British Columbia. The NCAA and BC players (except for Dave Huntley) didn’t join us until the 26th of May weekend. Dave’s team from Hopkins had gone on an extensive tour following their NCAA Championship victory and he joined us at the Toronto Airport as we were leaving for England. Many players who were invited were not allowed to be released from their box teams and the numbers who tried out were so low that only a handful of cuts had to be made. 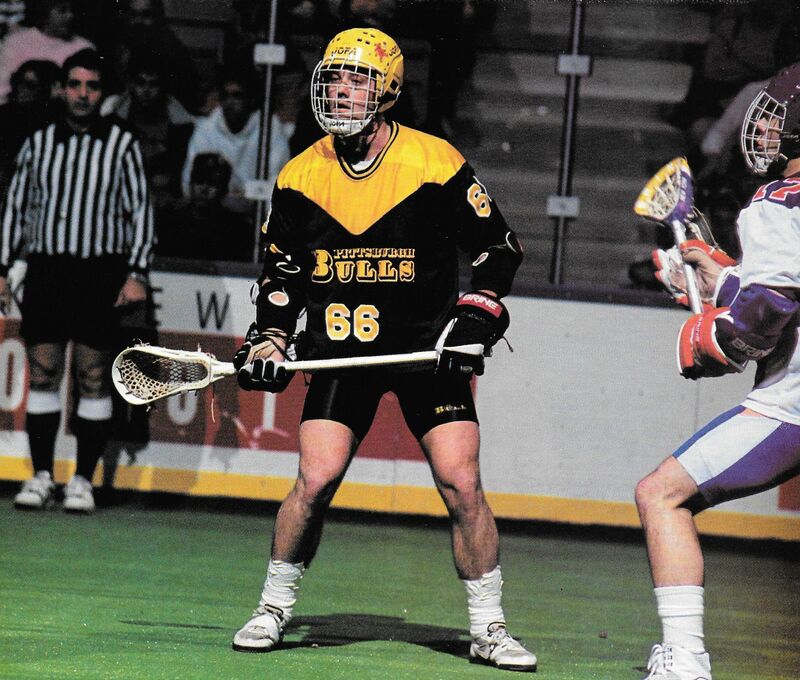 As well, Frank Davis had to drop out a few days before departure and Dan Wilson, one of our best middies against the USA in the round-robin had to return to BC because his father had become gravely ill. Preparation was not easy considering that over half the roster had never played before and those who did came from a variety of programmes. No one on our roster had any experience playing defence and as a matter of fact the long shafts did not arrive until the first week of June. Then, before you could blink an eye, the hacksaws were out and those who were chosen to play this position had shortened them to a more manageable length. Even so, they did an admirable job with the shorter sticks. 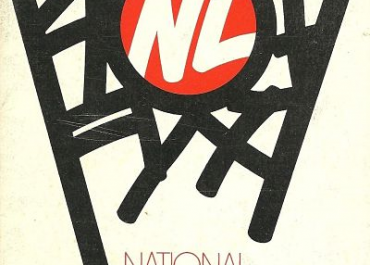 I was invited to speak at the AGM of the OLA later that fall and was still smarting about the lack of co-operation, but I did my best to bridge the gap between the camps, insisting that they were good for each other. Lacrosse was lacrosse. I am very proud of the fact that sensible people persevered and today, Canada is at the top in both games. It didn’t take this group very long to come together. The plane ride to England and a late night gathering at Piccadilly Circus looked after that. I remember John Grant and Jimmy Wasson entertaining everyone prior to the start of each team meeting. They would simply cut each other to shreds with some of the nastiest, most clever sarcasm that anyone had ever heard. The players from other areas didn’t know what to make of it. I tried to explain that it was just one “Boro Boy” showing his love and affection for another. I think they thought that everyone from Peterborough was nuts. You wouldn’t want to step into one of those frays, because, like scrapping brothers, they would both turn on you and a spitting match with either one, let alone two, could be very embarrassing. I also remember spending many evenings sitting on the floor in the hallway of the residence in Manchester, socializing with a few warm beers, and listening to the late John McCauley hold court. He was our defensive coach and his six year old son Wesley was our stick boy, so Gus couldn’t stray too far from home on nights off. Besides keeping everyone loose with his stories, we also spent a great deal of time with the players who attended these sessions, talking about the team and the games. During the game against Australia, I had to scream at Gus and Don Barrie to lay off the referees or I would make them both leave the bench area. I could understand Don because he had been a zebra hater his entire life, but Gus was an NHL referee. The players thought that it was hilarious but they also learned that there would be no double standards on the team. Gus and Don were great to work with and Wes has followed in his Dad’s footsteps and is now an NHL referee as well. I really feel that the tightness of the group meant so much when the chips were down. The players trusted the coaches and we trusted the players. But of even greater importance, they trusted each other. There were no big egos (impossible with guys like Grant and Wasson around), just a lot of sharing. 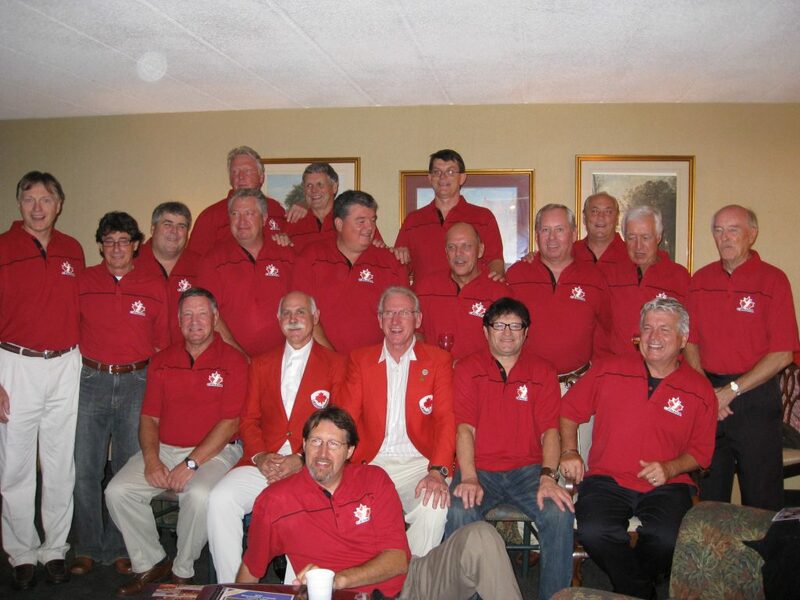 In September of 2008 we held a 30 year reunion in Oshawa and 21 showed up, some travelling from as far away as, British Columbia, San Jose, Philadelphia, South Carolina and Baltimore. It was wonderful to see everyone again and to listen to the old stories one more time. I had experienced many years of coaching at all levels and in a variety of sports and learned very early that when you coach kids, you treat them like kids and when you coach men, you treat them like men. At the older levels you also invite input and assess your personnel before deciding upon a course of action. None of that “my way or the highway crap”. There is always another way to do things and that’s how you become adaptable. Having said that, the coach must sift through the input and decide what to use and what to discard. Ownership is a great motivator. Dealing with the players in 78 was not a problem. The game, and how we should approach it, was our problem. We had many set backs along the way and each time we went back to the drawing board and each time we seemed to get better. The biggest set back of course was the 28 – 4 drubbing we took in the game vs. the USA in the round robin. We decided as a team that we had to keep it simple and not try to do things that might diminish our skills. I felt at times, that trying to do things too much the field way, was hurting us, especially on defence. They needed to play to their strengths, never be outworked and to trust their partners to do their jobs well. We also needed great goaltending and a little bit of good luck. The final stats for the championship game showed that they outshot us (great goaltending) and they won the face-offs, except for the big ones down the stretch. We won the ground balls, the clears, the rides and the extra man goals. The good luck came when a debate over a controversial goal went our way near the very end of the game. I still have a clear memory of the end of the game. I found myself standing on the sidelines, alone, picking up the equipment that was strewn about and watching the joyous mound of humanity out on the field. I had ambivalent feelings of happiness and emptiness. Hard to explain. Nevertheless, I was soon brought out of the trance by the off-key strains of Freddie Mercury’s , “We are the Champions.” It never sounded better. 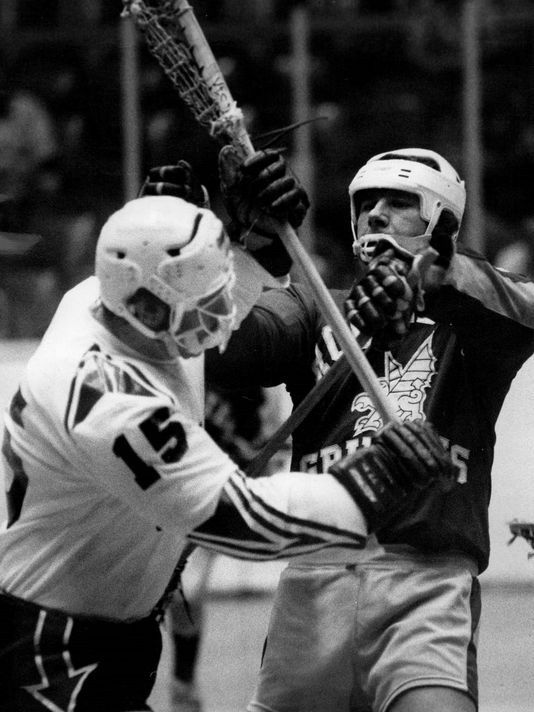 Much has been said and written regarding the prolific scoring of Stan Cockerton and Mike French, the goaltending heroics of Bob Flintoff, the late-game face off victories of Jimmy Wasson and John Grant’s early backhand goal that gave us such a lift and announced that we were to be taken seriously. But there was a little game within the game going on that didn’t get much coverage but really played a role in the outcome of the game. The late John Ferguson was a very close friend of mine. 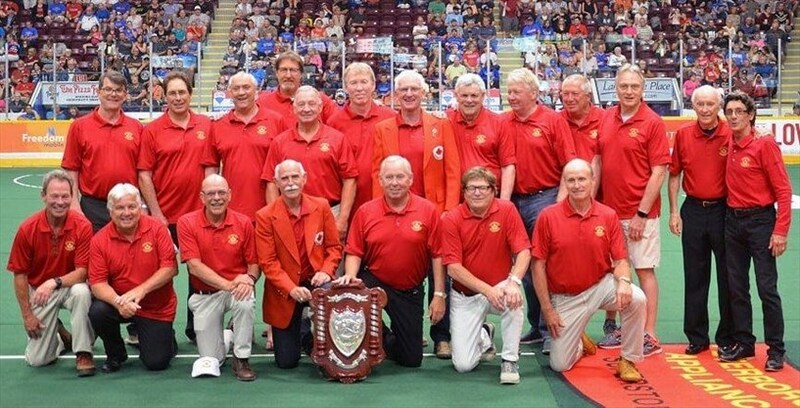 We met in Nanaimo, BC where we played lacrosse together in 1961and 62. 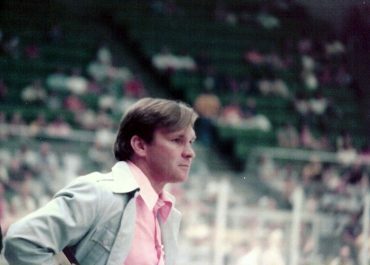 John played just one more year and was forced to leave the game when the Montreal Canadians bought his contract from the Cleveland Barons in the AHL. The Habs had grown tired of being chased out of rinks on the road and decided to do something about it by bringing in John, Ted Harris, Terry Harper and Brian Watson among others. It took Fergy just 12 seconds to announce his arrival when he tangled with Boston’s tough guy, Ted Green. He very quickly became the heavyweight champ of the NHL but in reality brought so much more to his team. On two occasions he scored more than 20 goals for the season ( a benchmark in those days), did not take unnecessary penalties and usually worked harder than anyone in practices and games. But his real value was in the dressing room. I always said that every team needed a John Ferguson and when I began coaching Peterborough in 1965, I was looking for mine. Carm Collins joined our senior team fresh out of the junior ranks in 1968 and in a few short years became our captain. In 1974, I made him our first draft pick and captain in Philadelphia and here we were 4 years later in England, with Carm one of the assistant captains, and the leader of the short, long sticks. A happy-go-lucky guy away from the game but pure business when the jersey went over his head. The game within the game pitted Carm against the late, great Eamon McEneany, a prolific scorer from Cornell who tragically perished in the Towers on 9/11. In the round-robin game, the sparks really flew between the two. I guess one should expect that, when a fiery Irishman is confronted by an equally fiery Irish-Italian. About halfway through the final quarter and the game already out of reach, Carm was ejected for his fifth personal foul, the last a double for unnecessary roughness against Eamon, who retaliated with a slash and penalty of his own. He did a lot of jawing but received no response from Carm who never was much of a trash talker. Silence seemed a more effective weapon. When we defeated Australia and earned the right to play in the final, the USA team was taking the field to play England in the second game of that day’s doubleheader. As we were leaving the area, Eamon made his way to Carm to congratulate him but Carm ignored him and walked away. Eamon was clearly livid. Finally when we lined up for the opening faceoff of the final he made one last attempt to make peace but was once again rebuffed by Collins. The little game that began during the round robin series was now in full swing. Prior to the championship game, Eamon was the USA’s leading scorer averaging 7 points per game, 11 goals and 10 assists. The stats for the final were McEneany 2 goals (one was an extra-man) and 0 assists. Collins zero penalties. I don’t think that Eamon was in a feeding mood that day. Nor do I believe that he was playing Canada. I believe he was playing Carm Collins. When it came to preparing for England, Roy Simmons Jr. , the legendary coach from Syracuse, was clearly our saviour. On the last weekend in May of 78, we travelled to Rutgers to watch the NCAA final and then returned to Syracuse to play an exhibition game the next day. The following weekend, Roy brought his Syracuse team to Ottawa and really spanked us. At the reception following that game we picked every brain in the room and then returned to Syracuse a week later and defeated basically the same team. Roy told me that we learned fast and if we continued to improve we should be alright. I know that he got himself into hot water for assisting us and I personally didn’t help things when I publicly acknowledged him for his assistance during my speech at the final banquet in England. He was ahead of his time. I really believe that he did it because he knew it would make the game better. Roy is revered by players past and present and taught his Syracuse boys and anyone else who cared to listen as much about life as about lacrosse. He is still called upon to speak to and inspire those who wear the orange. 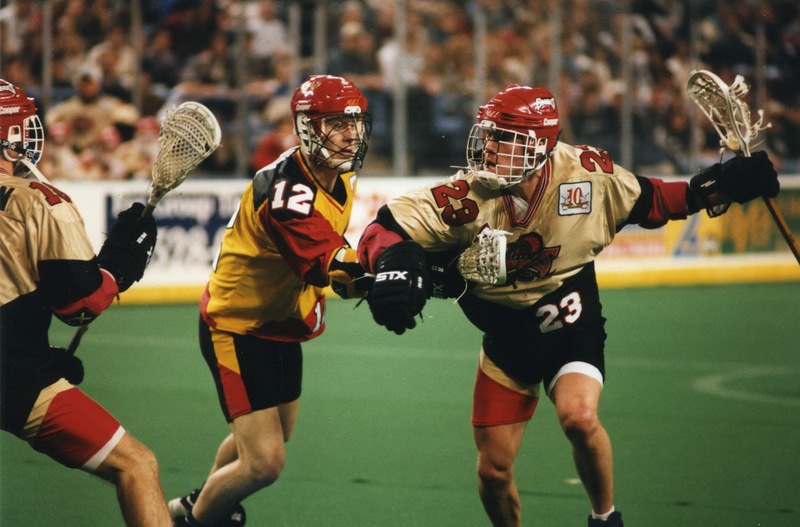 For a long time, I felt that the help that he provided, delayed his entry into the USA Lacrosse Hall of Fame. I hope that wasn’t the case and trust that I was able to wipe the slate fairly clean when # 19 & # 22 arrived in Syracuse. On the morning of the championship game I was on my way to breakfast with my wife Pat and Don and Josie Barrie. We were waiting to cross the street when I looked down and saw two small English pennies lying side by side. I picked them up and declared to Don, “There’s the Championship!” Almost 32 years later they are still scotch-taped to the championship plaque I received in England. In London, Ontario in 2006, I was standing with a group of friends near the Canadian dressing room waiting to watch the boys play, when I found a shiny penny lying at my feet. The Canadian players were milling about, waiting to go on the field and I called Steve Toll over. I told him my penny story and handed him the one I had just found. I hope he still has it.